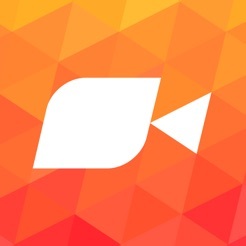 Shoot creative videos using multiple clips without complicated and slow editing tools. 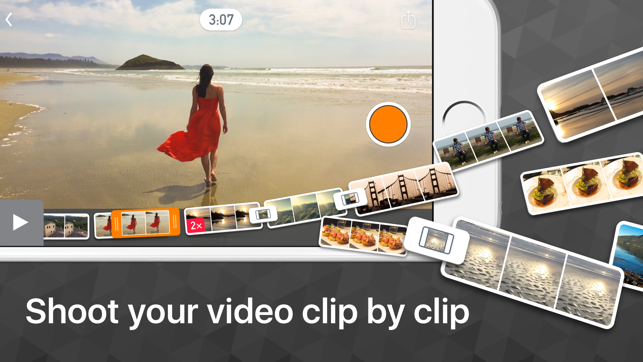 Vee adds each clip you shoot to your video, so you don’t clutter your Camera Roll. 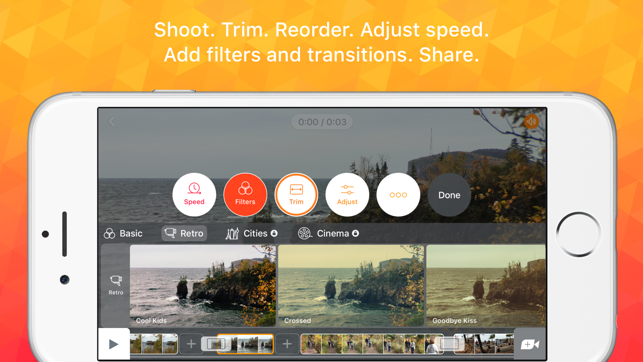 Reorder, trim, adjust speed, add filters & transitions, then share to your friends or to the world. 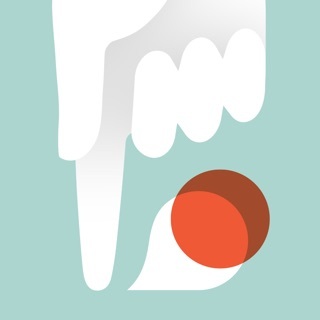 It’s easy, fast, and beautiful. It’s the way shooting video should be. Vee shares to all of your favourite services. Up to full 1080p resolution. Vee also exports and shares your video in the background so you don’t have to wait. Vee 1.10 adds Precise Trimming capability. When you're trimming, simply keep your finger on the screen, drag it up away from the timeline, and scrub left and right as per usual. The higher you drag your finger up, the more precise the trimming. 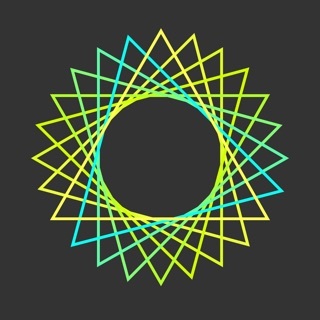 When your finger is near the top of the screen you'll be trimming one frame of video at a time. Now that's precise trimming! To help you see what you're doing, we've added a frame counter to the time stamp display at the top of the screen. 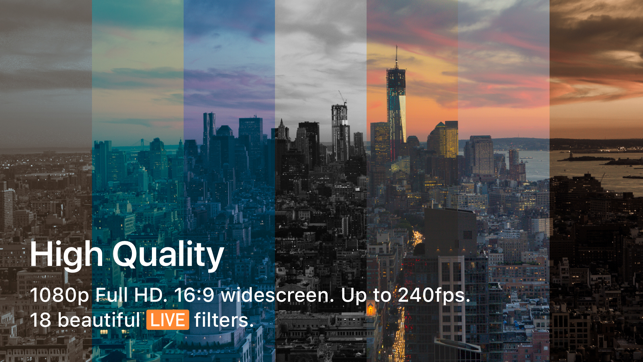 Vee 1.10 also gives you the capability to share your video with a frame rate other than 30 FPS. We've also added a sharing quality step to every sharing method, so you can always choose the resolution and frame rate for each video you share, and we remember what you chose for each sharing method so Vee learns what you like. Typically, many of us shoot a video first and edit it later, but Vee for Video brings the two steps together in a wonderfully perceptive way. 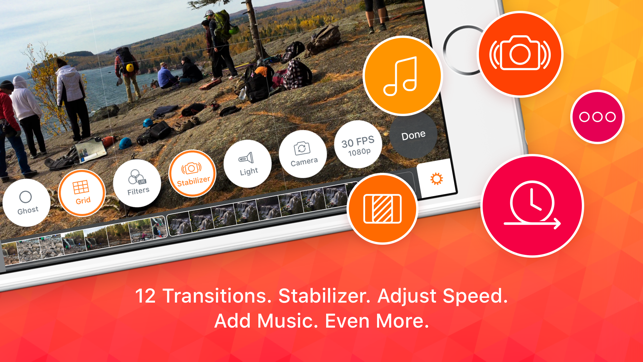 It combines powerful video-recording tools (including image stabilization, filters, and variable framerates) with intuitive drag-and-drop editing tools. It’s incredibly rewarding to shoot a clip and immediately add effects, transitions, or even a soundtrack from your iTunes library—all without ever leaving the camera view. Need a little more footage for your instant masterpiece? Just tap Record and keep on filming. 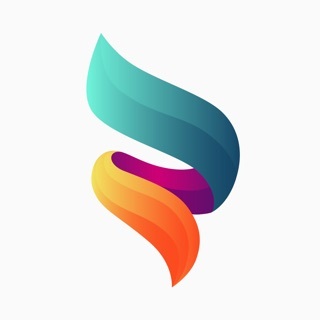 I've gone through so many video editing apps and they often leave me feeling the same way (kinda blagh, this is what you'd expect, they're all the same) but I stumbled on Vee during a promotion where it was actually free and wow it certainly stands out as far as pro features and usability. I'd like to see more music options (cut and edit songs from library?) but I'm leaving 5 stars because I'm confident that this will be addressed eventually. And even if it's not, great job from the Vee team! There is a really annoying glitch where if I try uploading a video in 4k quality to Instagram everything crashes. I've tried many times to get around it but it just doesn't work, giving me no choice but to upload in "HD". There should be an option to upload videos in widescreen as well as being able to choose the timing of audio you want added to the video; not add the whole entire track. Otherwise the layout and design is amazing and I love the stabilized camera for shooting videos.